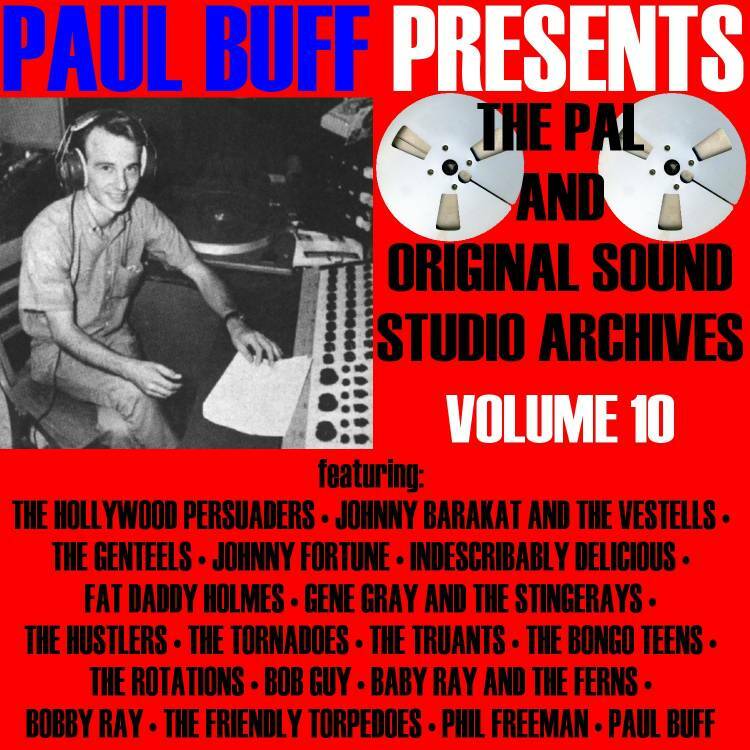 Indescribably Delicious recorded a couple of tracks at Paul Buff's PAL Studio in Cucamonga in the early sixties. 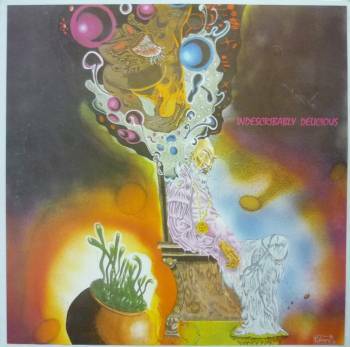 Although Indescribably Delicious were a real band, their history and 'album' has been the subject of much speculation, with claims to be either a Strawberry Alarm Clock offshoot and/or to feature members of All-American label-mates Big Brother (w/Ernie Joseph). The truth, however, is even stranger than fiction. The band formed in 1965 in Torrance, California, when Jim Conroy and Bruce Turner of garage band The Bountymen got invited to jam with another local band called Darkwaters. At some point in the jam, Jim and Bruce played with Darkwaters bassist and drummer, Mark Cohen and Steve Senchia. Jim:- "For the first time we all felt something magic and the next day quit our bands to form a new one. For a few weeks we didn't have a name, and then a friend suggested Indescribably Delicious and we went for it. Everyone ended up calling us the I.D. but Indescribably Delicious it was." "From the start the band had an impact, our first gig was a battle of the bands which we won and our reputation grew quickly, to the point where we were soon the most popular band in our area. If there was a dance and the I.D. played it was packed. We then started to travel outside our area and usually got the same reaction. There was just something about the chemistry of the five of us together that created excitement. We couldn't even go to the local shopping malls because the girls would scream and chase us. It was our own mini-mania scene. Our manager, Ray Torrence, was just a kid down the block but one day we were approached by a guy named Gary Solomon (aka Gary Solo) who had Hollywood connections and we decided to go with him." "He was kind of a shyster but he got us good gigs all over and made us polish up the act. We ended up being a well-oiled machine sometimes playing three different places in one night with our roadcrew going ahead of us to set up the next gig. The band performed with a light show with strobes and we put on a real show that most bands didn't have. Imagine a cross between James Brown and the Who. We played the Casey Kasem dances, traveled to Las Vegas and San Diego, opening for: The Seeds, Music Machine, Thee Midniters, Jimmy Reed, Steppenwolf, Buffalo Springfield, The Turtles and The Yardbirds. When we played in our hometown there were riots and we had to have police escorts a couple of times. At the time Bruce and I were 18, Art was 17 and Steve and Marc were 16." "Then Gary told us we were going to record for Bill Holmes' All-American Records, the Strawberry Alarm Clock label. We went to Hollywood and recorded Brother Where Are You, Baby I Love You, and The Kids Are Allright. We were so green and naive and they didn't even let us in the mixdown session." "Then came the 45 of Brother, Where Are You and Baby I Love You. We never even met Bill Holmes or had a contract when they started playing Brother on KRLA a bit. By the way, that silly noise at the end of Brother was not our idea. Anyway it didn't become a hit but I got to hear myself on L.A.'s biggest radio station. We continued playing and our musicianship got better, but times were a-changin quickly." "Sometime afterwards I was asked to come up to Hollywood and sing on a demo that the lead singer of the Strawberry Alarm Clock and Gary Solo were making. I agreed to do it even though I didn't think the songs were very good, as I saw it as a chance to get some more recording experience. Bill Holmes had nothing to do with writing those songs, although he's credited as such on the Akarma release. Afterwards they made a small test pressing of the tunes and also put the three I.D. tunes on it. They gave me two of the test pressings, which I played for the guys and we all thought it was pretty funny. The tunes were bad, the playing was bad, and my singing was done in one pass, take it or leave it. I didn't really know the songs very well at all. The test pressing was jokingly called 'the Conroy' and we never listened to it again." "About a year after we had done our recording Bruce Turner got the call to be the lead guitar player for the Strawberry Alarm Clock and decided to take it. At the time The Strawberry Alarm Clock had split in two and Bill Holmes had the lead singer with one band and the other members had another. Bruce joined the one with Bill Holmes and the lead singer which lasted about 6 months when the two factions sued each other and ended up in the courts for the next 15 years. So, that's what happened to the Strawberry Alarm Clock and I'm sure Bill Holmes had a lot to do with that. As for the I.D., after Bruce left we broke up and that was that. It was the Fall of 1968." So, the Indescribably Delicious 'album', isn't quite what quite what it's been rumoured to be over the last few years. The two reissues feature the same tracks, although Work Song and No Time To Answer on the 'Fanny' release are titled It's Been A Hard Hard Day and The World Is Ended Right Now on the Akarma version. The music is a mixed bag, from melodic psych-pop (Big Ben, Is It Love, The World Is Ended Right Now) which will certainly appeal to fans of Strawberry Alarm Clock, through to heavy fuzz, psychy pop-rock with occasionally soulful vocals (It's Been A Hard Hard Day, Take Me For One Last Ride) and onto full-blown brassy soul-pop (Jerry Ragavoy's Baby I Love You). Today, Jim Conroy is still a musician and has two recent CD releases of his own:- "I mostly play Jazz now and am still passionate about making music and hope to be for the rest of my life. Bruce and Mark are also still both musicians and we talk frequently." "Indescribably Delicious" was one of many albums that Paul Buff engineered at Original Sound for Bill Holmes' All-American label. The album that you refer to is an illegal release from 1992. By the way, only three tracks are by Indescribably Delicious - the others are by the groups Crystal Circus and Shapes Of Sound. 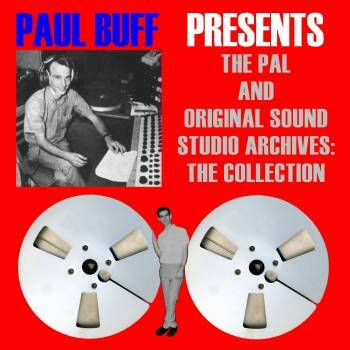 "From the engineering desk, Paul Buff recorded lots of music for Bill Holmes and his All-American label. One of the tracks that was unreleased at the time was "Is It Love" by Indescribably Delicious. Written and sung by Greg Munford, the voice of Strawberry Alarm Clock's "Incense And Peppermints," "Is It Love" is an excellent period piece. Paul Buff was very impressed by Munford's abilities and engineered many of Greg's tracks." "Oscar Brown, Jr.'s "Brother, Where Are You" was released by mistake as the B-side of the Big Brother Featuring Ernie Joseph single "E.S.P." on All-American. There were two different versions of "E.S.P.," so the mistake was made twice! The real artist on "Brother, Where Are You" was Indescribably Delicious." "Indescribably Delicious was formed in 1965 in Torrance, California when members of The Bountymen got together with members of the group Darkwaters. They ended up opening concerts for biggies like Steppenwolf and The Yardbirds. Bountymen vocalist Jim Conroy did the same honors for Indescribably Delicious, and the band cut enough tracks for an unreleased All-American album test pressing in 1968. Released at the time was the Indescribably Delicious single "Baby I Love You"/ "Brother, Where Are You." The Jerry Ragovoy-written A-side was a pop number highlighted by a brass arrangement reminiscent of Eddie Floyd's "Knock On Wood" from 1966. The flipside was featured on Volume 10. Greg Munford helped out on vocals and keyboards, as he did at numerous All-American sessions held at Original Sound. One of the tracks that Greg sang on and co-wrote was "In Too Deep," which appears in an unreleased, longer version. Indescribably Delicious splintered when some members joined Strawberry SAC."